Defend, Defy, Defeat. Evil stops here. Do you know somebody who is struggling in life? Do you know some one depressed? Do you want to help those in need? Take a look at this song by the artist TobyMac ! Take On Your Duty With The Strength Of A Lion. "Protecting and guiding the children is an obligation that falls upon parents and dependable adults. This means keeping them safe, leading them in the right direction, and setting an example that they will look up to and imitate. As guardians you give them security, trustworthiness, and compassion." A salute to Detective Jack Mook! Unnoticed, undetected, and when detected it's too late. Eradication comes to those on the wrong side, undefeated, a fear that may not be detected but is forever real and present. If you are on the wrong side your survival is unlikely. The month of October is largely associated with Halloween, an old holiday from the ancient Celtic people in Scotland, Ireland, and Wales. The festival was held in order to ward off evil spirits but today has evolved into something far different. Increasingly we see that society treats this holiday as an invitation and glorification of evil rather then a day to ward evil off. Through out October the stories posted will be Halloween oriented, however; evil will be treated as it is, evil. Please enjoy and feel free to suggest a scenario! Team 2 entering the second story of the house. October 1st, 11:54 P.M. It's a calm night when a careless teen decides to play a prank on his 10 year old sister and her friend. As the brother walks his sister and her friend back to his house he shows them an ominous abandoned house and convinces them to take a quick peek with him. The trio walks cautiously into the old abandoned house as the stars begin to come out and the air begins to chill. As they enter, the boy leads the two girls up a rickety set of stairs to the rotting second story. The two young girls giggle nervously as they walk down the darkened halls only illuminated by their hand held flashlights. Now seeing that the girls are walking close together he takes the opportunity to slip out on the vulnerable pair. As he nears the stairs he chuckles to himself when he hears the startled scream of his sisters friend. In this same instance a S.S.A. Tactical Team heads to the point knowing that this house is no ordinary house at all, and in fact poses a great threat to the unsuspecting individuals who enter. The young teen confidently rushes to where he thought he recalled the door being. Instead the gaping mouth of a deep dark hearth greets him. The two young girls on the second floor crouch in a corner trembling and scared to make a sound. Meanwhile the S.S.A. is on the move, after landing two UH-60 Blackhawks the tactical rescue team is deployed. The agents sensing the danger that all three individuals were in quickly plowed through the rotting door, careful to maintain a guideline to the exit. Within seconds the team locates the disorientated teen and upon reaching him checks all his vital signs and mental stability. The mission is no success yet. A noise above causes the entire 4 man team to freeze. 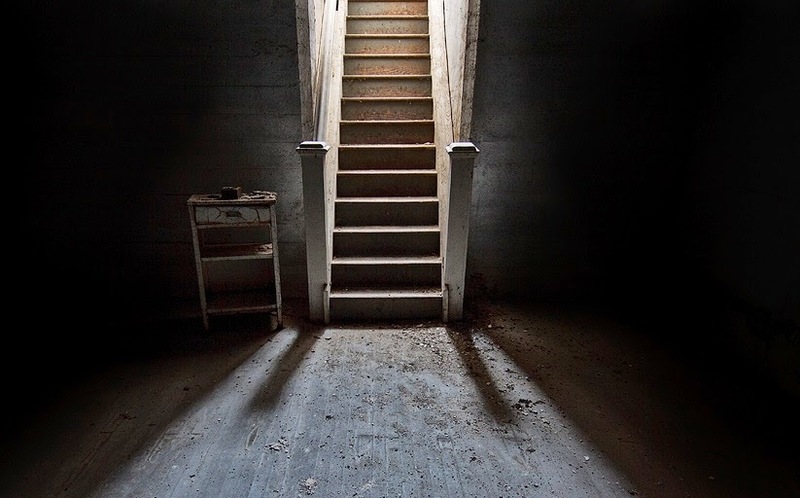 Footsteps ominously cross the ceiling sending down rotting wood with each black heavy step. Could that be team 2, no, team 2 had not yet reached the second story landing. The young teen still scared and nearly unconscious mutters, "I'm so scared." Seconds later one of the terrified girls' scream sends Team 2's 4 man team racing up the stairway. 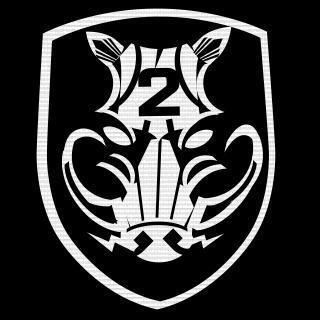 As Team 1 evacs, Team 2 can be heard crashing through walls and doors until successfully locating the young, innocent girls. As the evil inhabitants within attempt to swallow the agents and the girls they ultimately meet their own fate, in the end evil stops with the agents. Even monsters have nightmares. 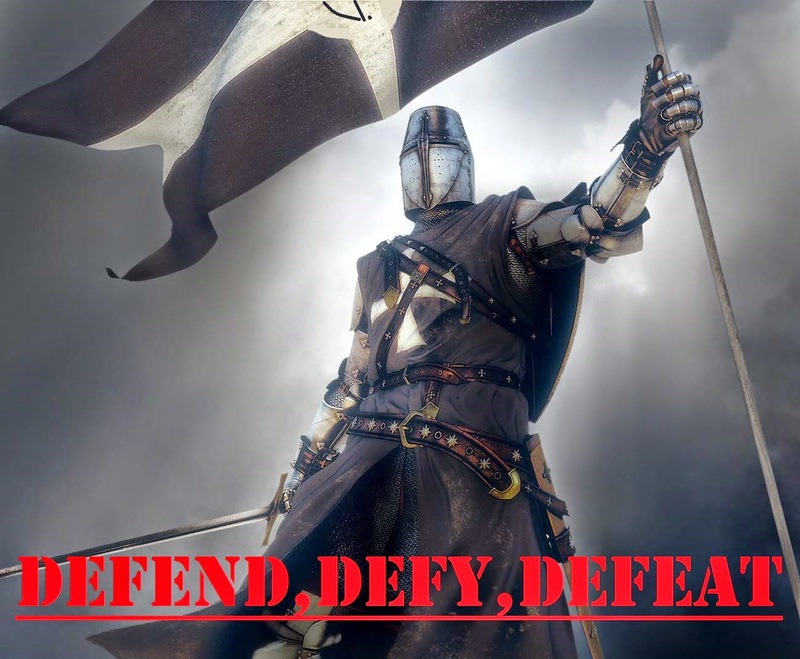 Defend, defy, defeat, Evil Stops Here! Inspired by Urban Assault's "Halloween"
Feel Free to give Feedback. Hello viewers, I'd like to invite you to feel free to comment or email me for any ideas or questions you have. I don't know how many of you view the blog or read it's stories but if you have any ideas for a story or post just let me know. Rock on! Hey guys from now on I'll be posting something every Monday whether that's a quote, a story, or my thoughts on messed up stuff out there. Feel absolutely free to suggest quotes and story ideas, we live in the same world with the same problems and I'd be thrilled to hear from you all! "Our culture no longer respects or cherishes the innocence of a child and rather glories in tainting the beauty of it all. To fail to protect the innocent is to fail our unconditional duty to them." P.S. While looking for quotes on innocence I was disgusted to find the most, if not all, where about destroying innocence and innocence being an opportunity for exploitation. I decided to write my own. "Being a knight means protecting the weak and innocent not because we feel like it but because it is our absolute duty to do so. 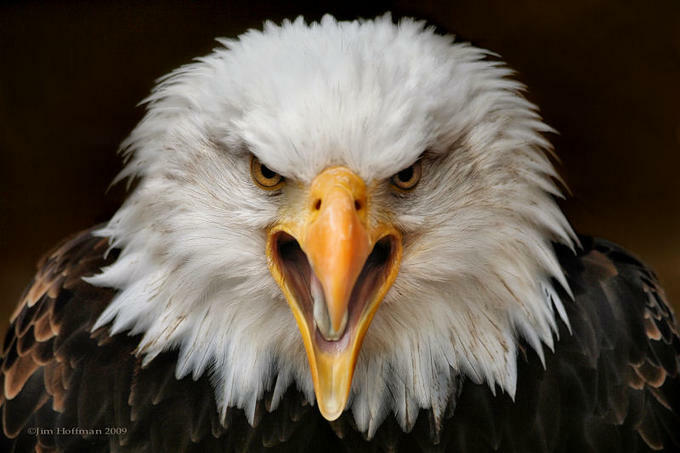 To protect those who cannot protect themselves is even more important today then it ever was." What if I asked you, do you value innocence and the preservation of purity? What would you say? Yeah I know your response, "wow what grouchy partypooper, it's just for fun and it hurts no one!" No? Can you not see it? We don't reenact 9/11 or school shootings, nor do we delight at the loss or the pain and suffering of a dear loved one. Then why do we endorse turning innocent vulnerable pictures of perfect innocence into something as sick as a child bleeding to death or looking as if they had demonically risen from the dead? Why can't people think beyond the cultural flow? Have we become so numb to the value of life and innocence that we cannot see past mainstream endorsement and not be able to think for ourselves? Can we not see that violence and evil is what we as adults are to protect and guard children from? I want to understand if I am wrong, but I see no good making demonic the very thing that represents innocence. A child is vulnerable, a child is innocent, children are to be protected by those who can protect them. That is, the adults, their parents, and society as a whole. Hit me with your best shot. I'm sick of this. Cases of child abuse are currently being reported every 10 seconds. Nearly 1,640 children die as a result of abuse, that's four to five children in a single day. 80% of these fatalities are at the hands of at least one of the child's parents. September 3rd, 2013 a concerned neighbor tips off Child Welfare Social Workers about a possible child neglect case. The case is checked out but later is closed. Not long after, another tip triggers a reopening of the case but again is shut down. Many tips follow but nothing ever comes of it. This chain of events nabs the attention of the concealed S.S.A. The agents continually kept an eye out for such things so when a repeated case of possible child maltreatment was closed they could not dismiss the incident. Within the hour team leaders were briefing their units. "Okay guys, each team will have a portfolio on the case so study 'em well and keep them up to date. Due to multiple child maltreatment tips we've decided to check it out for ourselves. The victim is 3 year old Ava Wellington. Ava lives with her mom, Karin Wellington, who has a boyfriend, Darrin Holstead. We could be in the target area any where from a few days to a few weeks so this may not be an in-and-out situation. We have four vehicles at our disposal, three are equipment and field operations vehicles and the fourth is a civilian vehicle." The first day saw the agents setting up audio devices in the target area while conjointly setting up their observable points. One was an unoccupied rental house across the street, the second was a shed roof top shrouded in a veil of low hanging foliage, the third was an alley way behind the house which only gave limited observablity at constrained time duration. Day Two: A few blocks from the target area two agents sit in their vehicle conversing on the situation and the events that have unfolded so far. Agent Ray: "Okay so, so far we know that the boyfriend is a jerk who does not pull his weight, and the mom works pretty late. So yeah, it's a tough life for Ava." Agent Tiege: "Right, yeah this guy is abusive from what I'm seein' here. He has a criminal record, although nothing major. He does have a history of a few mental issues. Let me see here." The agent paused then scowled. Still looking at his information file he stated in an annoyed manner. "You know what, with all these tips and what not I'm surprised no family or close friends have come to help out or even check out on how little Ava is doing." Agent Ray: "Well why should they? I mean it's not their kid." Agent Tiege: He looked up now irritated and a little disbelieving. "What on Earth do you mean, 'why should they'? What kind of a question is that? Look, you see something you do something, especially when you know you possess the competency and the know-how, and above all else when it is a vulnerable innocent! You serious man?" Agent Ray: He was nodding as he looked out the window of the vehicle. "Well, yeah I know but I meant it as in, who thinks like that really?" Agent Tiege: "Right. Not many is the answer." Several days into the invisible operation the teams had not only verified unstable situations but furthermore uncovered the boyfriend's abusive nature. It was not easy to see a child in such a situation, and yet nothing had happened that would successfully nab the attention of Child Protective Services. However, the atmosphere in the home continually seemed to darken. Day three and the waiting and witnessing begins to grow on the fiery agents. The teams continually submit information to their files as each day brings new events. In the meantime the agents clandestinely observed and waited for the right moments. "I don't like the atmosphere I tell ya'." One agent stated as he huddled next to his team mate on a shed roof top not 100 yards from the house. His team mate shook his head. "It's a bad situation to begin with and an all too common one, but yes, something does seem off." September 7th, 2013 6:23 P.M. An icy rain begins to fall as teams keep watch on their target area. Across the street a four-man team in the rental house was in charge of monitoring the audio devices. The agents recorded and saved all which the audio systems picked up. Within an instant the atmosphere within the house changed from tense to confusing and threatening. Team 1, Audio unit: "Woah! Guys, something's not right. Hold on, I can't tell. Wait. Do any of the teams have a visual on Ava or anyone?" the agent said as he clutched his headphones. The agent sitting next to him was frantically trying to communicate with other units. "Do any units have a visual?" In the midst of the fray the two man unit atop the shed roof had eyes on the horror that was unfolding. Without warning one of the agents lifted his M40 rifle and steadied it on the ridge of the roof. His team mate radioed into the audio unit. "We have visual, It appears. I don't know I can't tell, he could be drunk! He's beating Ava!" Meanwhile the audio receiving unit attempted to make sense of the ordeal. "Team two send your entry team in, be advised your spotting unit is set to fire." Without hesitation the audio receiving unit turned their attention to the spotting unit. "Guys give us your status whats going on? Requesting an immediate answer!" 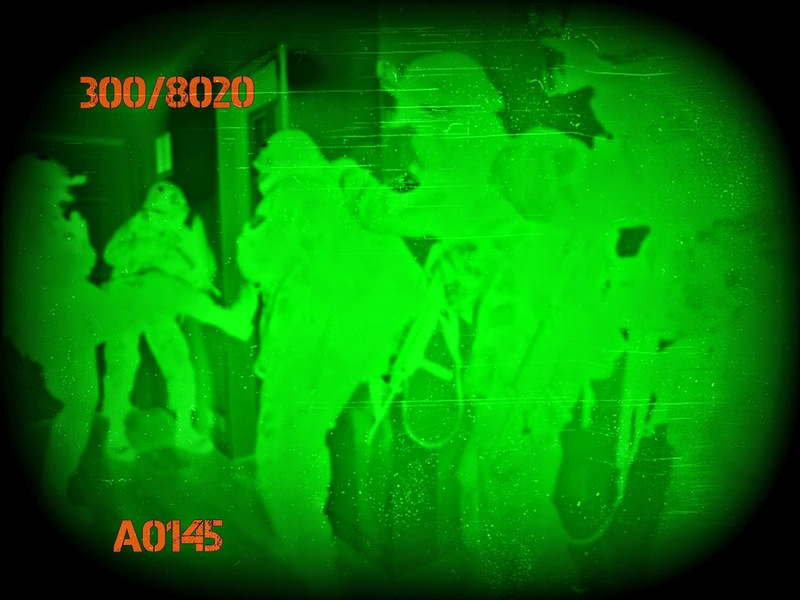 Team 2 prepares to enter the Wellington house just before their spotting unit takes out Ava's attacker. 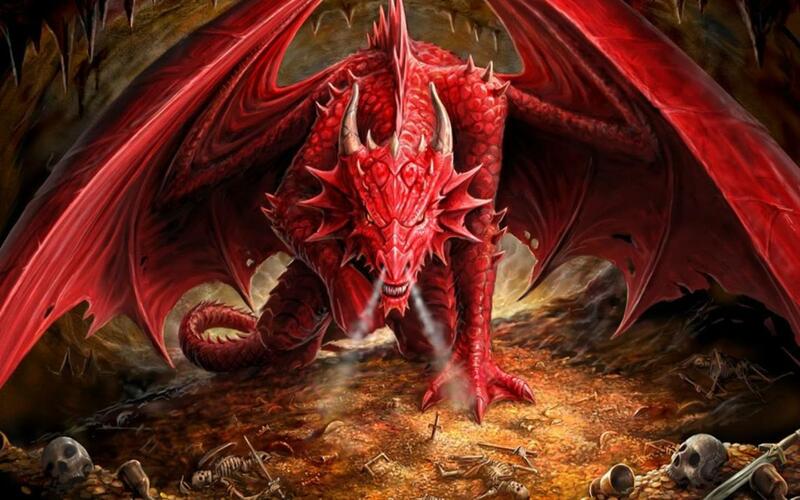 With steady breathing the sniper from team two's spotting unit replied, "Eliminating the dragon." Seconds after, a shot left agent Kort's rifle traveling at 2,550 feet per-second dropping its target like vengeful lightning. Within moments a four man team entered the Wellington house to find Ava on the ground, she was barely moving. Team 2 Entry unit: "We've entered the house, I've located Mrs. Wellington I got two guys attending Ava. Could I get a few more in here?" As the two agents attended Ava they held her hand and did their best to calm her. "Ava, your safe now We're going to take care of you okay? My names Ray and I'm going to be right here, just lie still for me okay?" Ten minutes later an ambulance arrived and Ava was taken to the hospital. Upon securing the house and handing things over to law enforcement the agents began pulling out. Four of the agents would stay in the area for a week or so to explain the situation to law enforcement as well as ensure a safe and stable home for Ava Wellington. Sadly this scenario has true origins. Unfortunately, for many, their will never be a knight to save the day. A child may never experience the joys of recalling past holidays or the sweet memories that come with growing up. This situation is all too common and is the result of selfishness and the societal loss of moral ideals. Less and less is the value of innocence considered and more and more do parents and adults fail to realize their duties of protection and care for the innocent. Labels: abuse, innocence, Justice, Knights, protecting the innocent. "Protecting and defending the innocent and the weak is not a matter of preference, rather; it is a matter of duty". 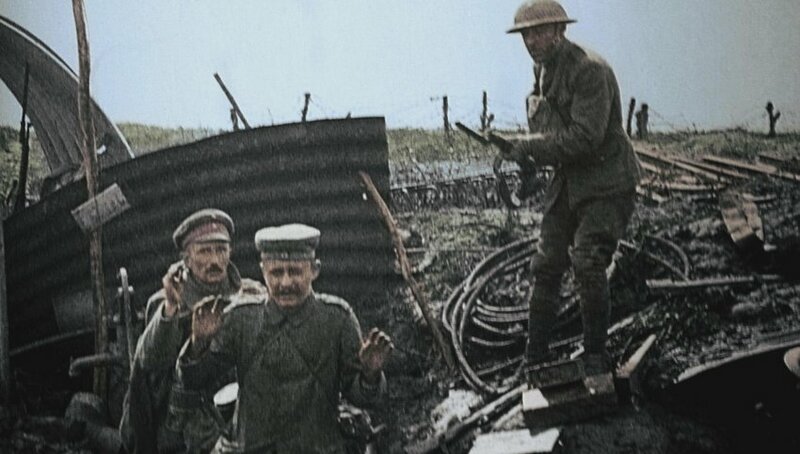 An allied soldier flushes German troops out of the remains of a trench. As team three’s tank advanced on another pillbox an enemy artillery shell landed dangerously close destroying the right track of the tank. Now immobilized Feisty Fire’s crew would have to sit and wait until help arrived from teams one and two. At about this time teams one and two had met up at a field station and were just heading out to attend to more wounded when Feisty Fire’s distress call was received. Now with two missions on their hands the teams loaded up and doubled their pace. After attending to team three’s busted tank they headed back to the medic station taking in the fallen soldiers as they went. The day ended with the allied forces and the Great Britain’s 4th Army gaining an impressive 15 miles past their starting point. The German troops numbered around 27,000 men of which 12,000 would surrender. While August 8th was a huge success the following days would not prove to be so quick. Despite this the attack had done its job putting the war in favor of the allied forces.The 2,000 British artillery, 800 aircraft, and 400 tanks used would prove to be invaluable in softening the enemy and pushing through their lines. Having done their job the S.S.A. returned to the current time period with plenty of lessons learned and many a terror seen. On the morning of August 7th, 1918 the twelve man team would arrive at their designated time era and historical location in France in which they would prepare themselves for the upcoming attack the next day. Team one briefed with team two about the upcoming engagement then headed eight miles out to where the artillery units were set up and familiarized themselves with the other men they would be working with. The team would be operating the French built American designated M1918 155 GPF 155mm Field Gun. Their six man team would do their absolute best to operate the devastatingly massive gun and cause maximum damage to the enemy.Team one’s main objective was to provide calculated artillery strikes on visible targets which compromised team two’s objective thus covering their advancement. The second team would move up 5 miles from the drop point and station themselves just behind the British 4th Army where they also prepared using period weaponry. 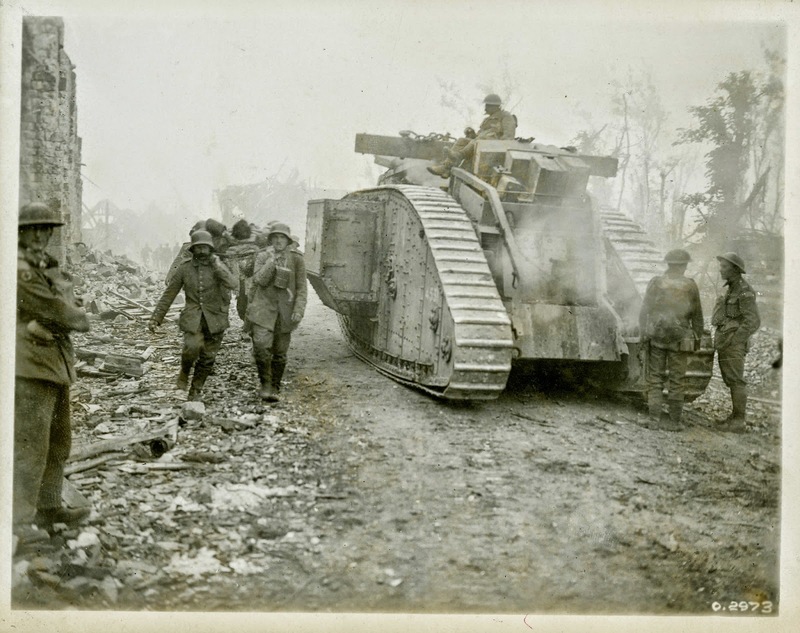 A French FT-17 tank, a Ford Model M1918 3-ton tank, and an empty flatbed truck were acquired for use the next day. Only two vehicles would actually be put to S.S.A. use. The French FT-17 Renault was internally covered with kevlar so as to provide just a little more protection while the flatbed truck would have to make do and follow behind the tank. The night was an uneasy one both for the allied units and the agents in the field. The morning of August 8th came quickly and with it came the adrenaline and fear that would ensue. The gun crews began receiving coordinates for target areas while several miles back a massive strike force of 800 aircraft waited ready to devastate the enemy lines. When the time came for the artillery batteries to open fire the ground shook with their massive power. Team one manned their gun and when ready releasing 155 mm of explosive onto the target area. With every shot a cloud of dust rose from the ground as if a thunderstorm had come up from nowhere. After several minutes of bombardment the team adjusted their piece to the next set of coordinates. Again the 155 mm Field Gun joined the rest of the guns in their grueling bombardment. As the artillery crew’s part in the attack neared it’s end team two was simultaneously beginning their part in the battle. Team two would later be joined by team one. It was estimated that a force of 20,000 German troops would be guarding the Amiens positions and resistance was expected. The attack on the German held lines began slowly at first but then mounted up speed as the day wore on,casualties were mounting but the allied forces pushed on.Team two did their best to pick up the wounded and made constant runs from the battlefield to medical stations. The two man FT-17 Renault advanced with the mainlines of allied forces running into plenty of conflict. 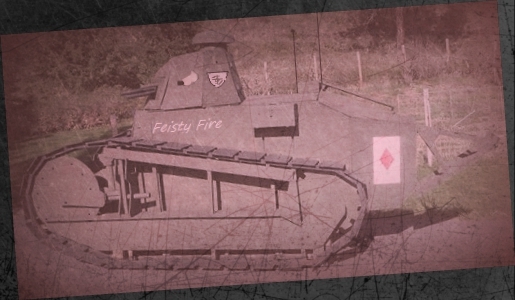 Team two's tank, nicknamed "Feisty Fire" not only covered the flatbed and the wounded but also helped give the British infantry cover and fire support when approaching the deathly trenches. Feisty Fire took multiple hits to its frontal armor but to no avail, the little tank courageously charged into the sheets of on coming enemy fire only stopping to return fire with its deadly S.A. 18, 37 mm Puteaux gun. Mile after mile yielded the allies ground and left the injured and dead from both sides behind. Team two was nearly overwhelmed with their task. The following is a short. Please share and enjoy! The year was 1918 and WWI had been fiercely raging for four years and casualties were mounting up in the millions from both the allied and enemy sides. After the German offensive of 1918 the allied powers would strike back in what was called the Battle of Amiens. Over 15 miles of ground was gained by allied forces overwhelming the German troops at six to one.The S.S.A. would operate alongside the British 4th Army under the command of Sir Henry Rawlison. The team of twelve men would operate in several areas. Team two would operate one of the 2,000 British artillery pieces used behind the fighting lines while the other six members (team one) would follow along behind the joint British, French, and American forces advancing on Germany. The initial attack would take place on August 8th, 1918, there would be no shortage of casualties and action. It was the S.S.A.’s mission to protect and recover what men they could in a critical effort to return them to thair homes and families. 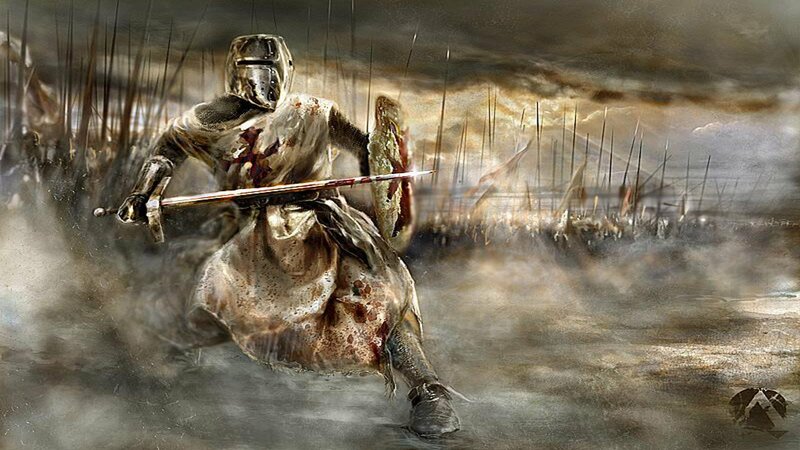 Due to the fact that historical events such as this could not be altered in any practical way period weapons would be used except for a few modified items and armor. The attack would be devastating to the germans, the allied troops would equally suffer but the assault was necessary for the advancement of the war. Who the Mysterious Agents Represent. In many cases the agents within some of these scenarios will represent the will power to stand up and oppose evil, in other cases the agents represent an idea, the idea that we all have the obligation to protect the weak . That is why ,in the eyes of the agents, if we have the ability to take action and protect those who are weaker we have the duty to do so. While many people are capable and willing few actually take action. Some times we need to be prompted to do so. 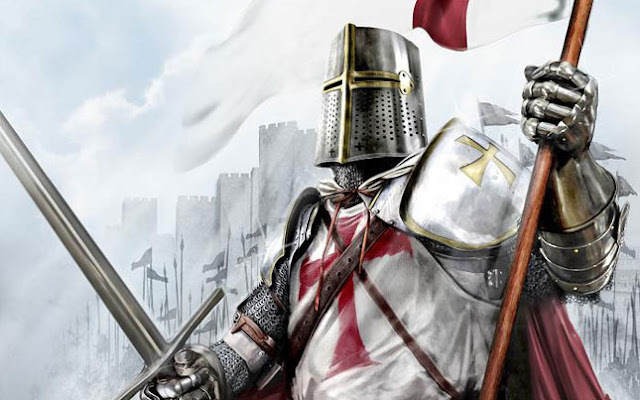 For this blog the scenarios serve to convey a point or to insight the urge to be the knight that the world needs and many individuals hope for. Thanks for listening! Be sure to share! The more support the more encouraging it is! Many people know the infamous story of a horrific china doll given to a young girl as a present. In this tale the powerful doll slowly and mercilessly torments a young, innocent, fragile little girl. Step by step the doll eases up a stairway until slaying the girl. The girl's inattentive parents, who do not listen to her concerns, also become victim to the horror. For Jaelyn receiving gifts was always an exciting pleasure. Jaelyn was a very merry young girl whose character was heartwarming and giving. An embittering atmosphere never lasted long while she was around. It was her 9th birthday, a large china doll was among the many gifts she received. However, the very appearance of the doll made her uneasy and she quickly tossed it aside. The doll's name ,"Arbella", only added to her disdain. The doll would sit slumped over on the bench where Jaelyn left it for the rest of the evening. It was an ordinary night in the family home until Jaelyn was awakened by a faint but ominous voice. "Jaelyn, I'm on the first step." The voice faded like mist in the wind and she heard no more of it. Helpless and frozen with terror Jaelyn remained motionless in her bed, it was the only form of comfort she felt she could safely remain in. Unable to even speak she would endure a painfully sleepless night. The next morning Jaelyn saw the doll just as she left it yet decided that she must relate to her mom what horror took place that night. Her mom dismissed the story as a dream and thought no more of it. As night drew ever closer Jaelyn dreaded sleep. The hours of the night ticked by, one by one, unable to fight off her drowsiness Jaelyn's eyes shut as she entered into unprotected sleep. The two story suburban home was just as simple as most homes, a front and back yard, garage, and a somewhat dilapidated privacy fence. The family had no dogs so the house was regularly quiet. Jaelyn slept on the uppermost floor with her bedroom located at the far end of the house just above the garage. Facing towards the back yard were two large bay windows which gave little to no light to her bedroom depending on the season. Her parents slept down stairs to the left and one hallway away from the stair case leading to her room. Jaelyn loved her room, her father took extra care in making it a veritable royal residence. It was now 1:35 A.M., only 25 minutes after Jaelyn had slipped into perilous sleep. Two blocks away a twelve man team prepped and checked their equipment in an alley way while briefing on their objective. Before long the team had broken into three four man units who were now headed in the direction of Jaelyn's house. Armed with various weapons and equipment the units split and jogged in different directions. Tac1: "Tac1, heading to position over." Tac2: "Tac2, copy. Tac3, check in please." Tac3: "Tac3 present. Heading to forward position." When it comes to getting thrills at the expense of a defenseless innocent's death no other responds to the situation like that of the mysterious S.S.A. This particular scenario caught the attention of the agents thus prompting them to respond with devastating force. As the teams approached their targets they began setting up their equipment with precision and efficiency. Tac1: "Tac1 is proceeding to roof. Tac3 let us know when you are in position. Get that door lock open and move on our signal." Tac3: "Copy, we are at the front door. We have a visual on the objective area but the target is not in sight, repeat, target not insight. Caution is advised." Tac1: "Copy, standby for entry. Removing both widow locks. Time to completion, thirty seconds, over." Tac2: "We are in position, we have a visual down the hall. 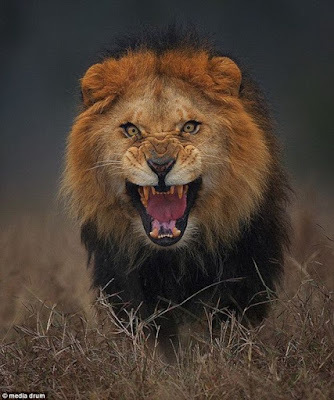 Keep an eye out for the target." "Jaelyn!" Jaelyn snapped awake but lay motionless and immediately began breathing heavily."Jaelyn." The bloodcurdling voice broke the painful silence. Suddenly a noise behind her caused her to jump. Breaking into a cold sweat as she attempted to retreat into her bed covers. As Jaelyn struggled to hear over her own terrified breathing she heard footsteps quietly draw near. Tac1: "Going in now Tac3 begin your entry." Tac3: "Going in, going in." As two members off the top story four man team rushed to Jaelyn's bedside the remaining two pealed off heading to the bedroom door. Beside the bed one of the agents proceeded to talk to Jaelyn in hopes of calming her. "Jaelyn, your going to be fine, we are here for you. I guarantee you as long as we are here nothing's going to harm you. Now in a few seconds you'll hear a very loud noise. There will no longer be danger alright? I need you to calm down for me, can you do that? We understand what's going on. We're here to help." Downstairs Tac3 was simultaneously stacking just around the staircase corner. Tac3: "Tac3 stacked and ready." Tac2: "Tac3 we have a visual on you, got you covered." Tac1: "Proceeding to target area." 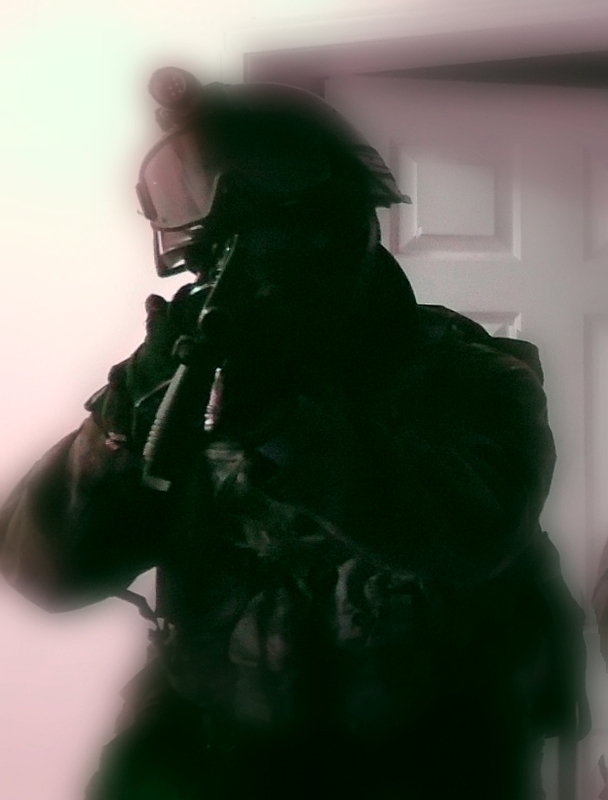 As Tac1's team reached the staircase landing one of the agents adjusted his M590A1 shotgun in accordance to the target. There it was, Arbella, even more menacing in the dark. "Welcome to your last step." With that the agent pulled the trigger. In a flash and a punch of powerful thunder all that was left of the demonish villain was a short lived cloud of china glass and an indistinguishable tattered rag as it drifted to the floor. symphony that seemed to be approaching closer and closer. Where were they? Where was the officer that was sent? But more importantly the question that was on all three boys’ minds was, am I getting out of here with my life? Simultaneously Tactical Team 1 was coordinating thorough search patterns of the building with the police officers that had responded to the call. The horrifying sounds that retreated from the penitentiary and mixed with the officers radio equipment made many police officers hesitant to approach. For Tac1 the operation was a slow one, however; not far away Tac2 charged headlong into deadly chaos. After several minutes of trying to recontact Tac2, the team leader of Tac1 surged into frantic but precise action. Turning to the officer next to him the team leader dealt his commands, “I want all your officers to continue searching the designated floors! We have lost contact with Tac2, hold your positions until we make contact with Tac2.” Within seconds Tac2 had formed up and was on their way to the last known location of Tac1. Despite the lack of communication Tac1 was alive and well as it charged through the dank halls of the superstructure. The nonstop barrage of the six man team drowned out the noise of the creaking doors, the voices, and the ominous look of the rooms and halls. 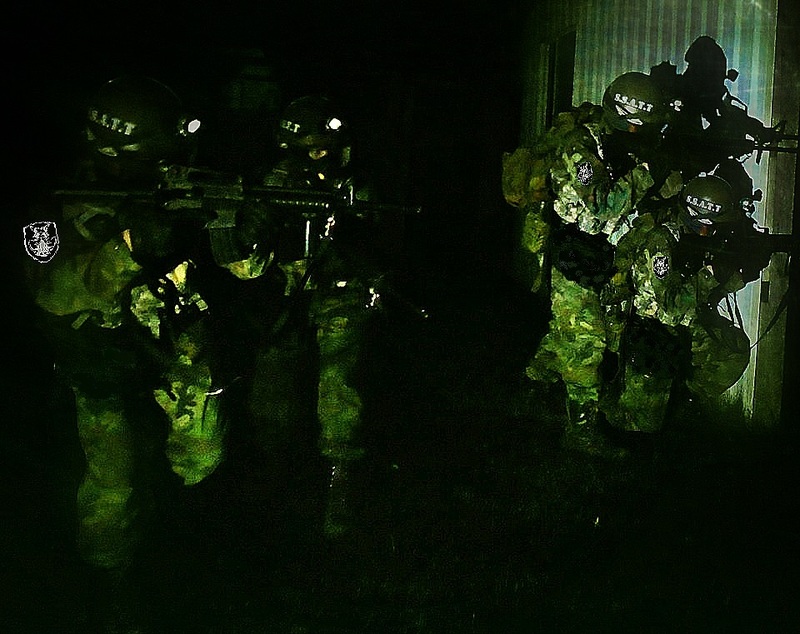 As the mass of men worked their way through the deadly maze Tac1’s communications member attempted contact with their fellow agents to no avail. With the burst of another door to the floor, was another step closer to the possible location of the victims. Their mission was to rescue the victims alive, nothing would turn them around until that mission was fulfilled. As the confused boys huddled together, breathing heavily, the sudden sound of a heavy footstep captured their attention. A figure clothed in what looked to be rags, face covered by a mask of white, lifted above its head a club studded severely with spikes and began to creep towards them. Unable to control his fear the youngest of the lost victims screamed in complete pandemonium. The voices echoed all around and all the doors to the room slammed shut. There was no way out. As Tac1 moved down the corridors a bloodcurdling shriek turned all their attention in the direction from which it came. Within seconds the team had arrived at the door and hearing the commotion from within slammed against the heavy steel doors without success. Inside the boys had split up and were now randomly running to the farthest corners of the room in an attempt to stay out of the grasp of this devilish horror. as the tactical team slammed into the doors and called out the names of the boys hope flared up in all three boys while confusion blinded the demon like entity. A loud crash and the doors came down as six steadfast men poured into the room. After locating the victims four team members retreated to the hall. Shot after shot was discharged by two agents who stood their ground covering the retreat of the victims, shot after shot impacted the entity eventually dropping him to the floor. After handing the victims to authorities the twelve agents headed to their transports and left just as abruptly as they had come. Baffled and still on edge from what they had seen and heard the officers then turned their attention to the teens in hopes of getting more information on the ordeal. Despite the seemingly overwhelming power of the supernatural being it stood no chance when it went face to face with a deadly team of S.S.A. agents whose goal was to rescue the trapped victims no matter the consequences to themselves. -Defend, defy, defeat. Evil Stops here! The S.S.A. a Highly trained, stealthy, and more deadly than the evils they face specializes in victim rescue, counter-evil operations, and a number of other missions. This unit fights head to head with the most dangerous and evil superiors that otherwise would go unopposed. Having lost contact with the victims the dispatcher informs the responding officer. The officer arrives at the location only to find one vehicle. Not knowing where to start the police officer radios for backup. As the sun begins to dip below the horizon the officer hears unearthly sounds echoing throughout the building. Voices crackle in his radio, indistinguishable, but audible nonetheless. Disturbed the officer reaches for the radio to contact the incoming back up. Before he could speak into the radio he hears the sound of helicopters as they chopped through the air. Within seconds they came into view and landed abruptly behind the asylum. As team members call out the names of the victims in order to shorten their search time they cannot help but witness the sounds, and movement that constantly keeps the team on the look out. As the team approaches a first floor hallway the heavy metal door to the entrance slams shut halting the team in their tracks. 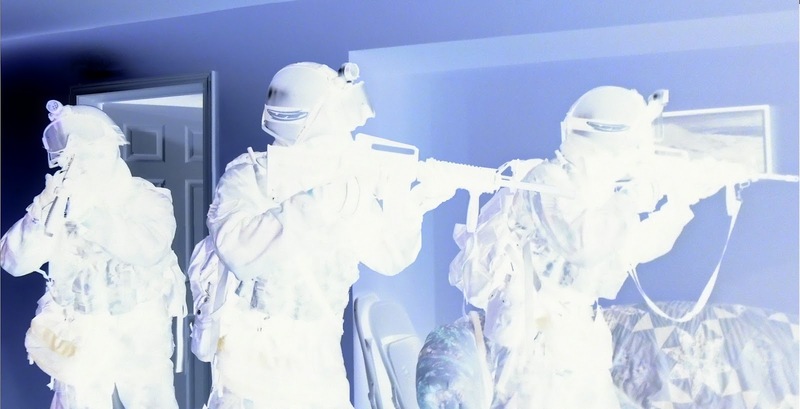 After kicking the door in an attempt to bust it from it hinges the team resorts to explosives.After the door goes down the units proceed to clear the first floor. 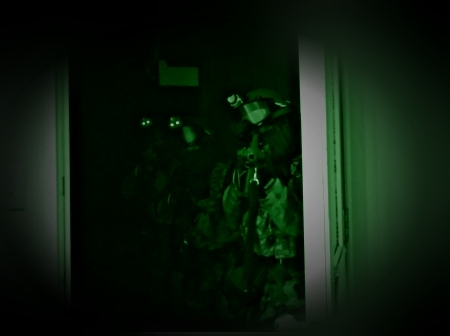 As the first team operates with the police informing them of their mission team two disappears down the dark and ominously quiet halls of the second floor. Suddenly a shrill screech echoed loudly through out the asylum. The unit responded to this by shouting louder in an attempt to gain the upper hand in the battle of fear factors. 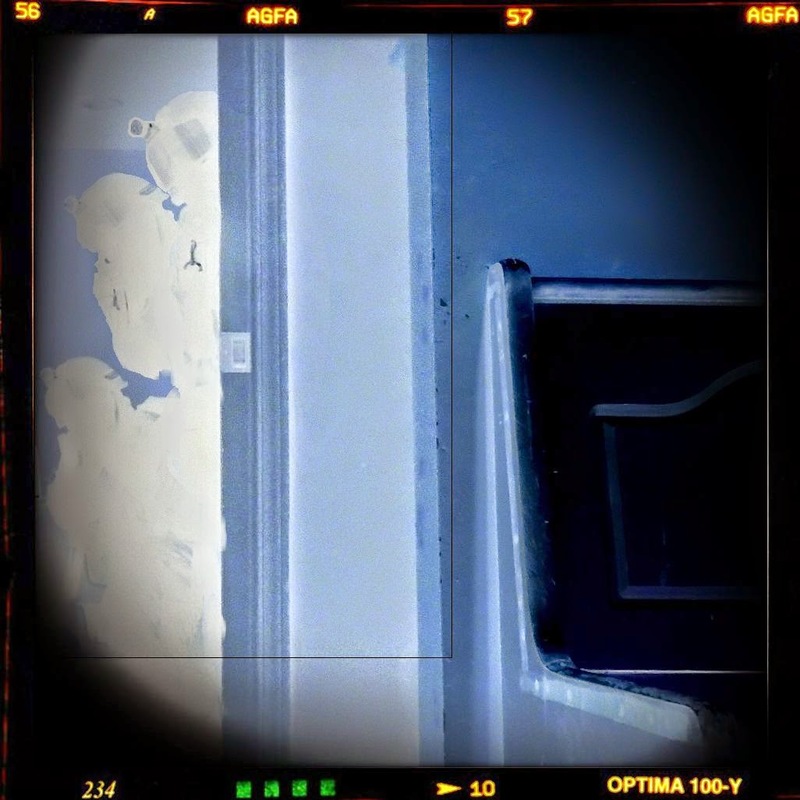 As the screeches and moans droned on throughout the halls the team busted rotted doors shattering glass and splintering wood as they crushed everything in their way. It was now their goal to make the most noise with great amount of force, shouting all the while, thus making it easier for the victims to identify friend from foe.